Gruen Associates was the Associate Architect of this new 716,000 gross square foot headquarters building for Caltrans District 7, which was awarded through a design competition. The $171 million project, delivered through a design/build delivery system, combines design excellence and sustainable design. Designed by Morphosis, this landmark project is comprised of an office tower sitting on a low-rise podium, with four levels of parking below grade. 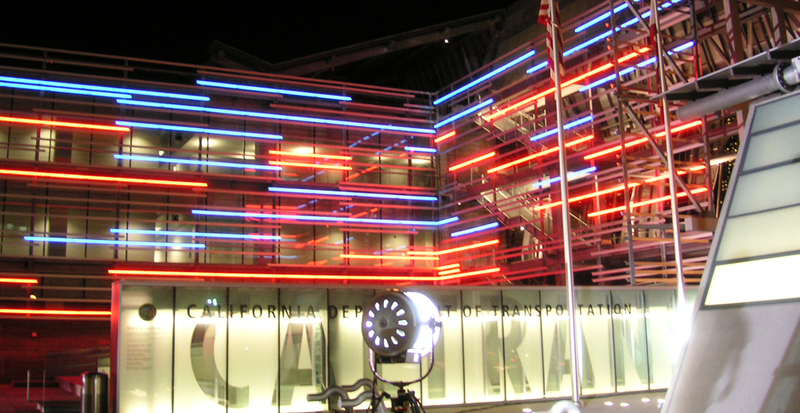 While Caltrans is the major tenant, the building also houses the Los Angeles Department of Transportation. Gruen’s work includes the below-grade parking and T1 build-outs. This represents the first time that such a partnership has been formed between the state and city governments.